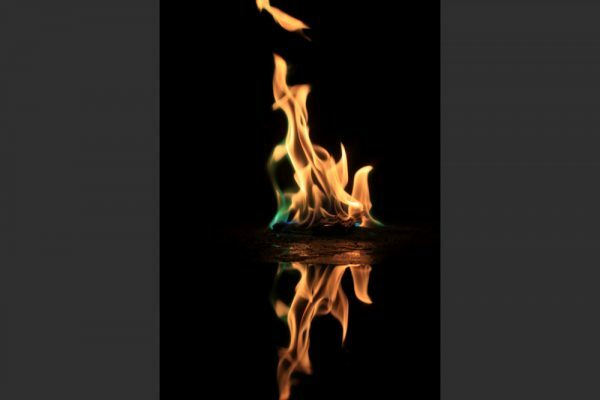 Cupric chloride emits blue and green light when burned, here seen on mulch chips and ethanol, reflected in a water pool. By Danielle Metzner, Cameron Misegadis, Nicole Lubinski, Kyle Thatcher. for Spring 2014 Team First. 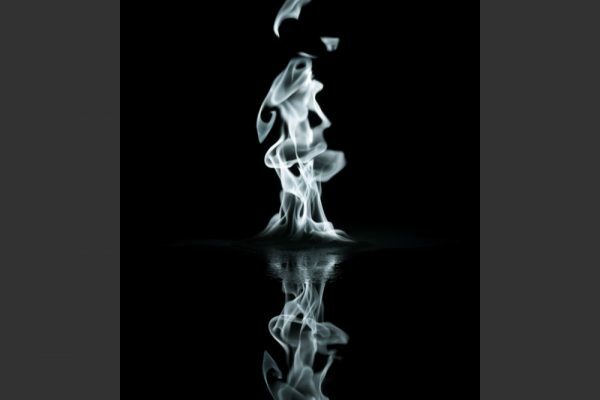 An alcohol flame, reflected in a pool of water, converted to grayscale. By Nicole Lubinski, Danielle Metzner, Cameron Misegadis, Kyle Thatcher. for Spring 2014 Team First. 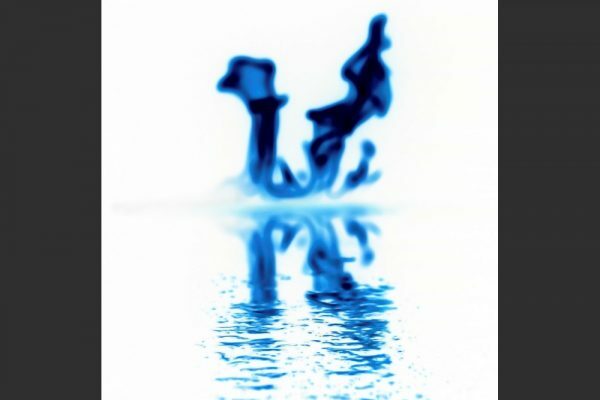 An alcohol flame, reflected in a pool of water, color reversed. 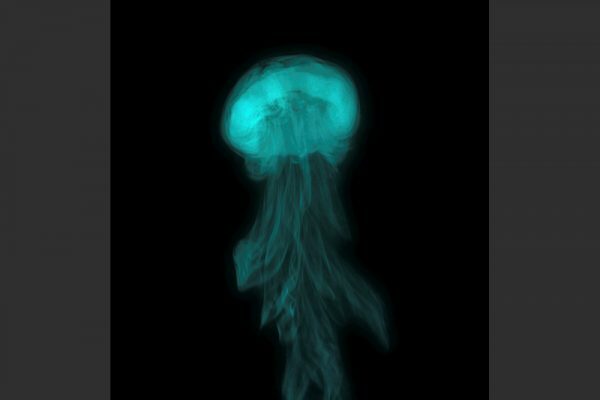 By Kyle Thatcher, Nicole Lubinski, Danielle Metzner, Cameron Misegadis. for Spring 2014 Team First. 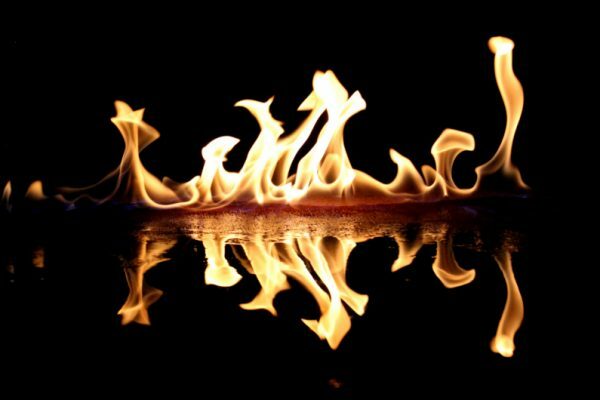 An isopropyl alcohol flame, reflected in a pool of water. By Cameron Misegadis, Kyle Thatcher, Nicole Lubinski, Danielle Metzner._Cameron Misegadis, Kyle Thatcher, Nicole Lubinski, Danielle Metzner. for Spring 2014_Spring 2014 Team First_Team First. 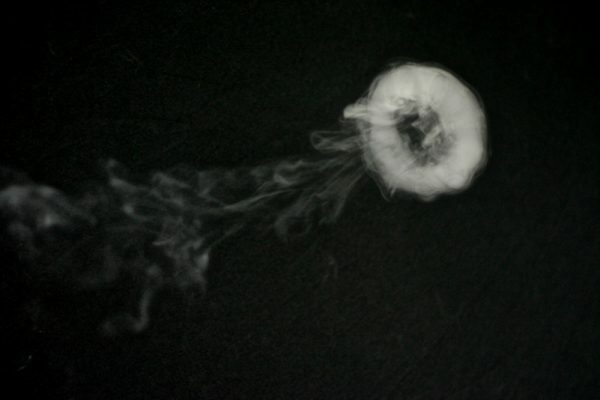 A vortex ring of fog, puffed out of a box with a circular orifice leaves a trail like a jelly fish. By Mark Voll, Lael Siler, William Derryberry and Kristopher Tierney for Spring 2014 Team First. By Kristopher Tierney, Mark Voll, Lael Siler, and William Derryberry for Spring 2014 Team First. 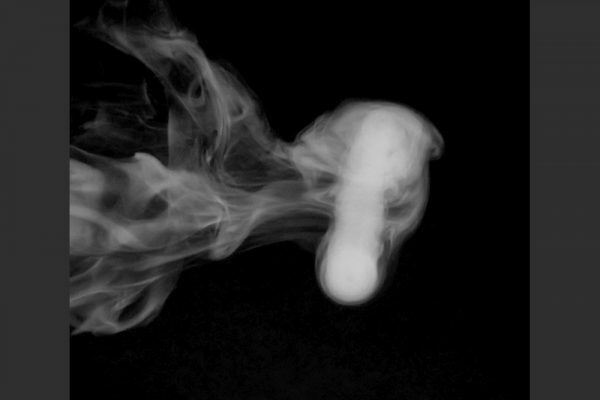 Fog ring dynamics are used as a mask, revealing a painting. By Lael Siler, Kristopher Tierney, Mark Voll, and William Derryberry for Spring 2014 Team First. By William Derryberry Lael Siler, Kristopher Tierney and Mark Voll for Spring 2014 Team First. 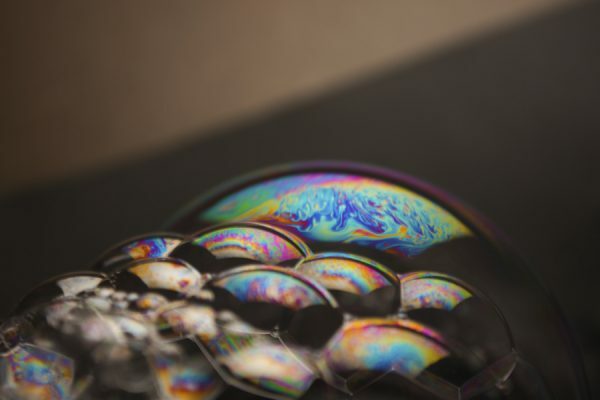 The rainbow of colors on a soap bubble indicates that the film thickness is between 0.25 and 1.25 microns. By Alexandra Banks, Rachel Sobke, Jonathon Fraker and Taylor Powers for Spring 2014 Team First. 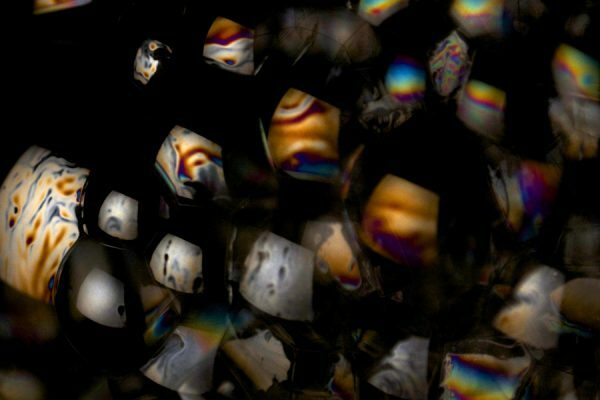 A collage of soap bubble images resembles a closeup of grains of sand. By Taylor Powers Alexandra Banks, Rachel Sobke and Jonathon Fraker for Spring 2014 Team First.